My first post on this site and it's because this is my favorite car here. I'm a very new owner (1 day) of an 86 SE and this build has inspired me. Wow that is great! Welcome to the forum too. 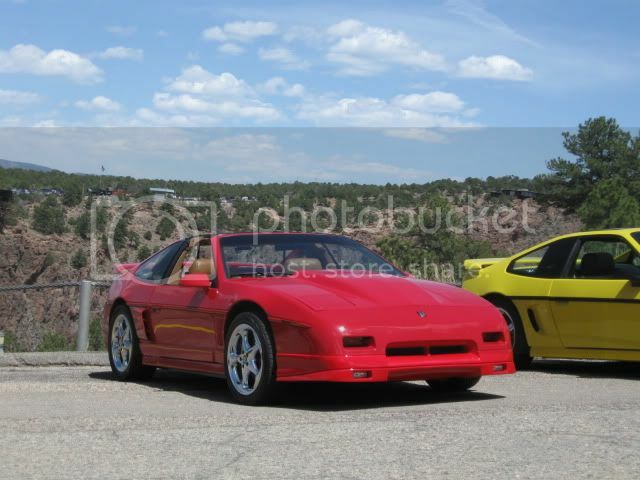 A fantastic thread, written in a very easy to understand manner and quite possibly the nicest Fiero I've ever seen. If I ever become rich, I will definately get you to build me a motor. Wow, I guess this make this GT internationally appreciated. Cool thanks for the complement. I really like what you did for your exhaust man, really fits the rear bumper. On the hood scoop did you just cut on the very center (the part that is dipped in) or did you cut a little bit to the sides of it too? 4 inches seems like it would be more than just the dipped in part. If you look on page 1 of this thread you can see exactly how I cut it. Skitop call me 717-898-9024 and I have pmed you and emailed you! 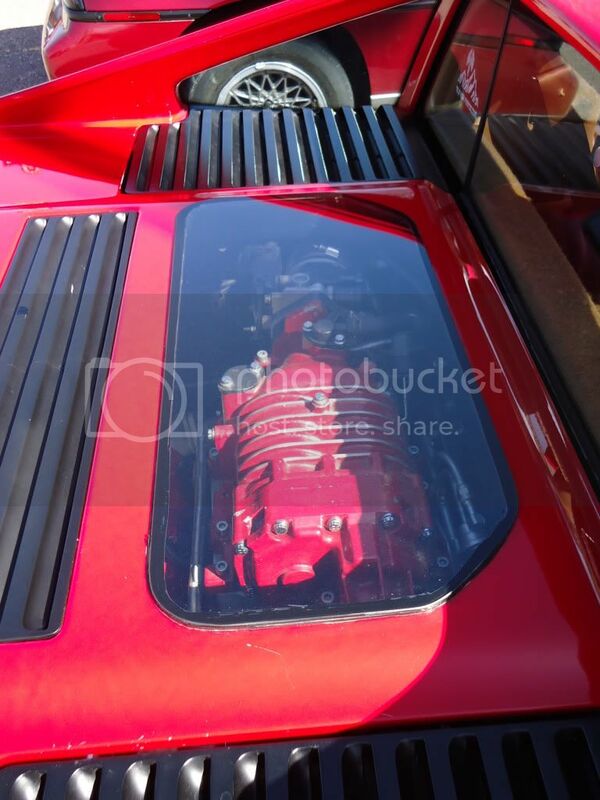 So here I was wondering if anyone had ever done and engine bay window, did a search and found this....Totally amazing what you have done with your car, I have always been more of a notchback fan but your car is really making me question that. 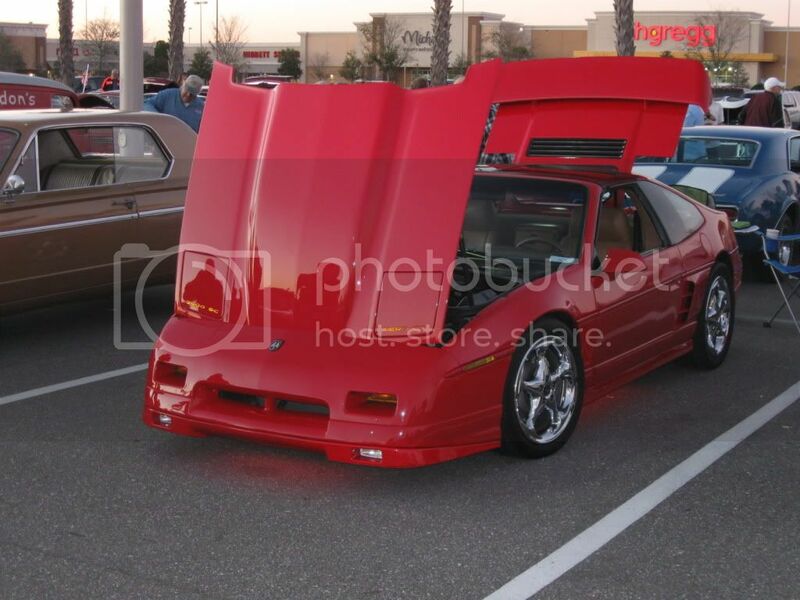 You have made what is to me the nicest Fiero I have ever seen, thanks for the inspiration. Thanks for the email and these compliments. Good luck on your build. I followed your build from Texas. I followed your build from England. I followed your build from Florida. I read it over and over again every time i was deployed to the desert flying missions in Iraq and Afghanistan when I had computer time. And now, while I am sitting in DC for two weeks, I sat and spent a few hours reading back through the whole build. It has been an amazing ride watching the car morph into what it is today. I would love to see your car down at the Daytona show. Will it be there? Also, if this car EVER goes up for sale and you come up with an asking price PM ME / CALL ME! 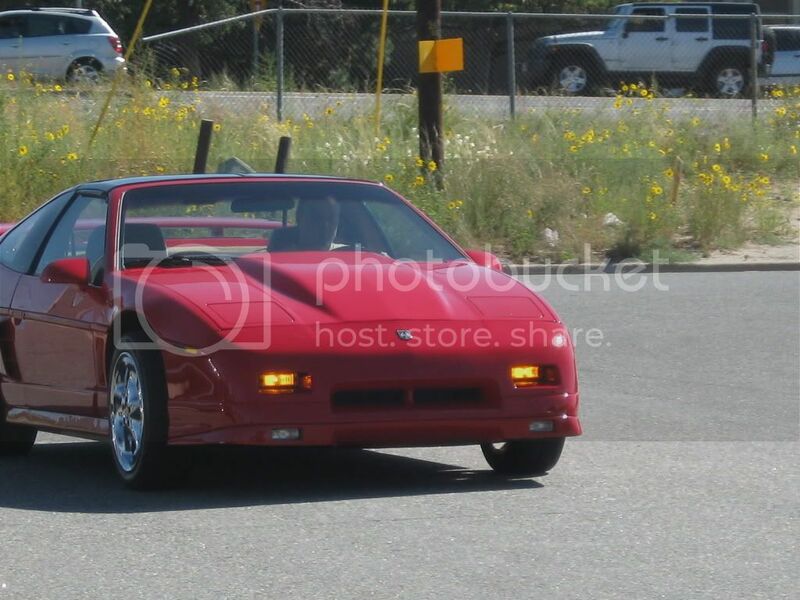 This is one Fiero that I am sure anyone on the forum would love to own, me being no exception. 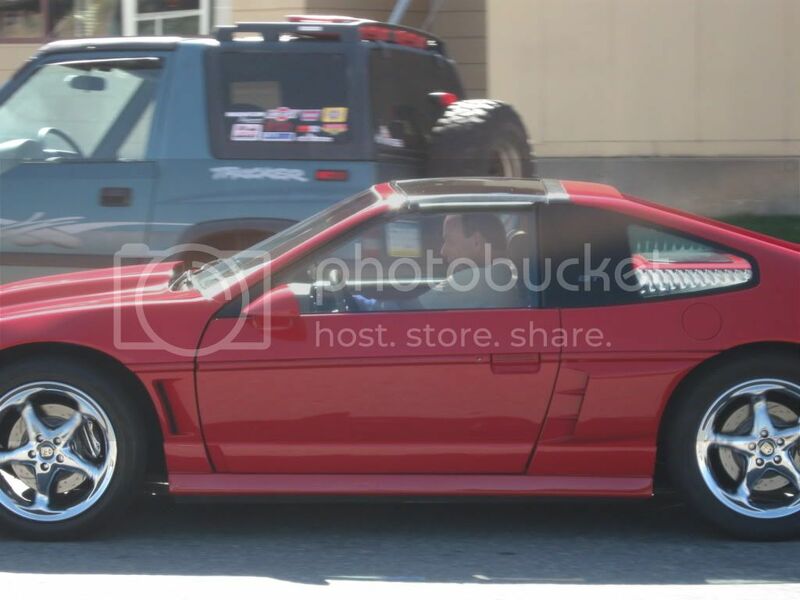 The mods are all so tastefully done and the soul of the Fiero has been retained. You, sir, are a star! I like the mods you did to your hood (tasteful and functional) so much I'm replicating them on my car Props to you for being the originator and thanks for sharing the info so others can upgrade their rides! I heard through the grapevine that this car may be heading to a new home soon. Any truth to the rumor? Well, this had been one of the hardest things I have done in a long time. My pride and joy was sold. It was like selling one of my own children. I nearly backed out of the deal because I could not stand it. It is going to Colorado via a truck carrier. 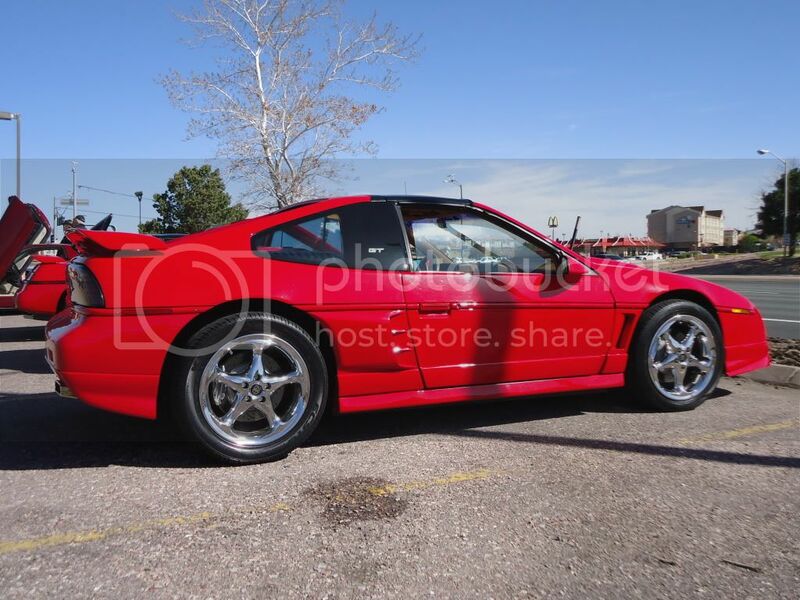 Forum member Rpro aka Robert Probst president of the Mile High Fiero club has bought it and willl be giving it a good home so I take some solace in that. I vacation in Colorado a lot so I will hopefully see it on some of those trips. So the GT starts another chapter in it's life. Pennocks has been a home for me for many years. Cliff, Thanks so much. Through Pennocks I have made so many friends that otherwise I would of never met. I think it's time to bring this thread back to the top. As many of you know, I recently acquired skitime's awesome GT. I also promised to keep this thread alive with mod's and repairs I make along the way. I've only had the car a little over 24 hours now, but already the gears are turning in my head. The first order of business is to freshen it up. It hasn't been driven in two years, so certain things simply need some attention. I noticed a hairline crack developing in the low mount alternator/dogbone bracket, so that's getting TIG'd tomorrow. I want this to be a temporary fix before I purchase a bullit proof kit. I'd very much like to hear from you 3800SC guys on what you've found to be best.... Keeping in mind this is a 5 speed. Door hinge pins and bushings, Silva Light headlamps, and some new undercar LED's is what is in store for this month. I know this isn't exciting stuff, but what it does is bring back a former champion to a state of the art show car. So, Skitime, What vehicle will be the focus of your attention now? What forum will chronicle your future projects? Solstice, Cobalt, Mustang, hyper miler Geo Metros? 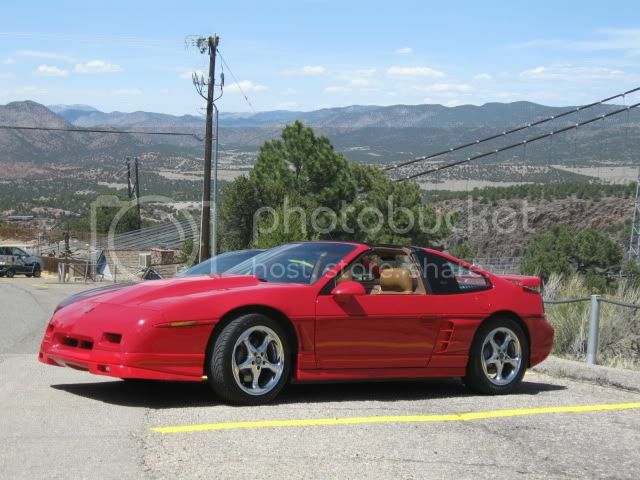 I am enjoying a Mecedes SLK and a modified Geo Tracker setup for offroading and I still have a red Pontiac. A Pontiac Vibe. Only the Mecedes has not been modified yet. 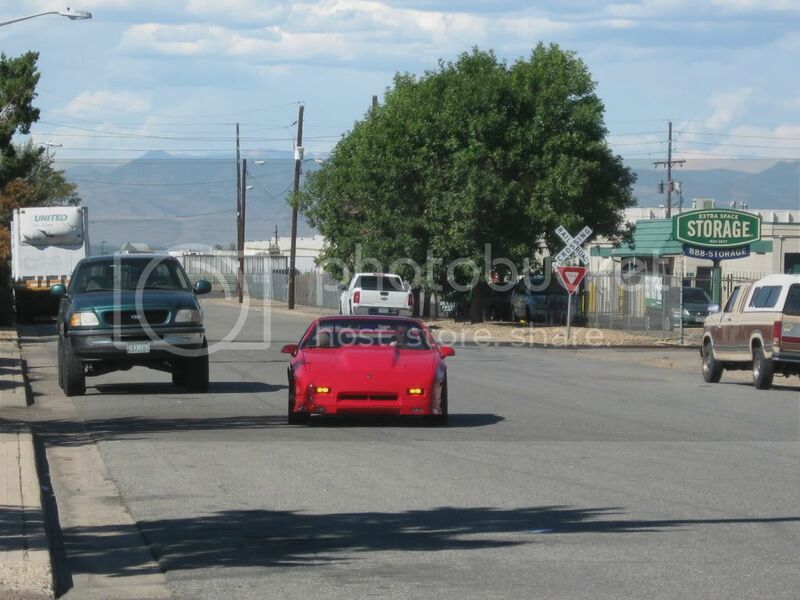 Was this car in Colorado Springs area yesterday morning ~ 10:45 am (Interquest Prkway area)?? If so, I was lucky enough to see it! Yes, you did see it at that time and location. We had a club cruise yesterday, Are you not a MHFC member? I am not. 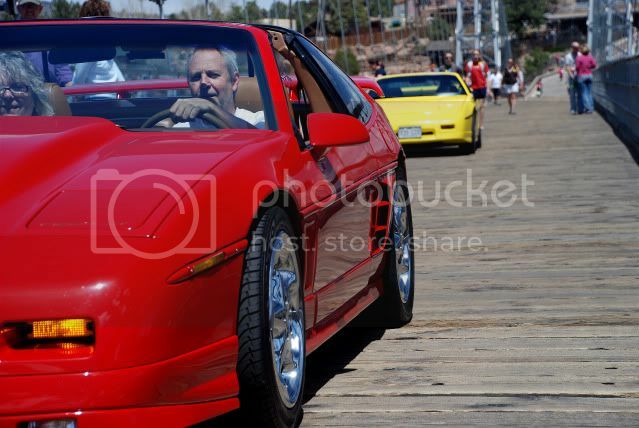 I have not had a Fiero since 04. 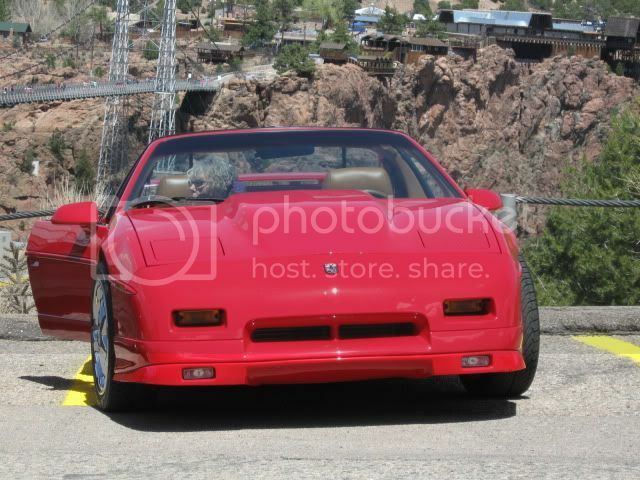 I heard from Rob, the Secratery of the Solstice/Sky club that we may be getting together with the Fiero club for a cruise sometime soon though! Pretty cool so see your car after I have only seen pictures for so long. 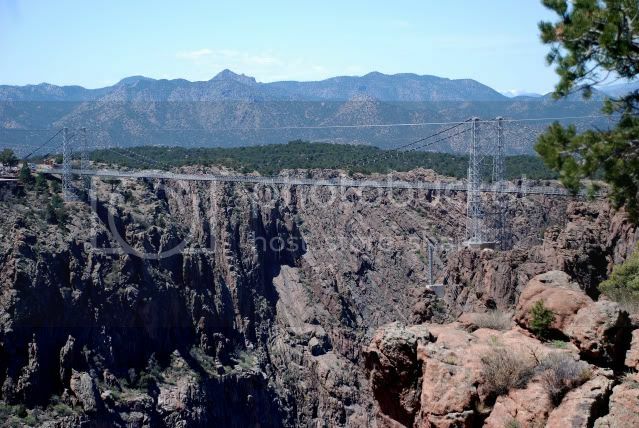 We are indeed joining the Solstice/Sky folks for a day trip to Royal Gorge, Saturday, May 7th. 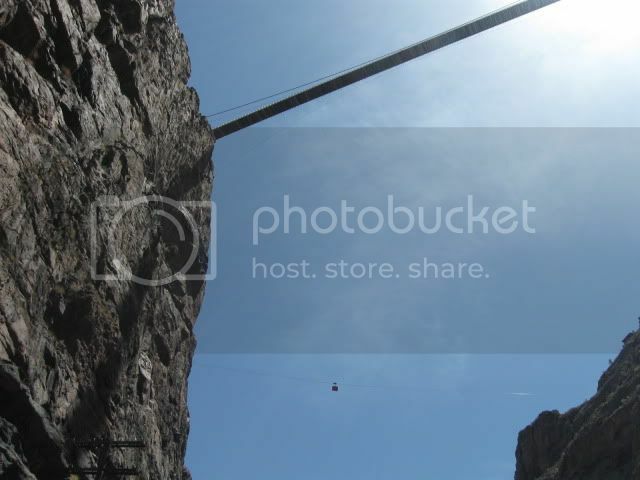 As requested, a few pictures of the skimobile at the Royal Gorge Bridge. Pleasure meeting you today and seeing your car! 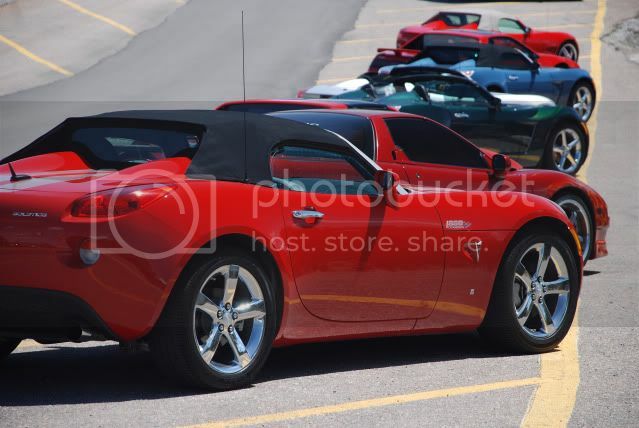 On Saturday, June 11th, the Utah Pontiac Club (GSLC-POCI) will be holding it's 15th All Pontiac Car Show. They will be having the show at Wheeler Farm in Salt Lake City. The show will run from 9am to 2pm Saturday, June 11th. I am taking the infamous skimobile over for this show, so any PFF members in Utah are welcome to come see it in person. 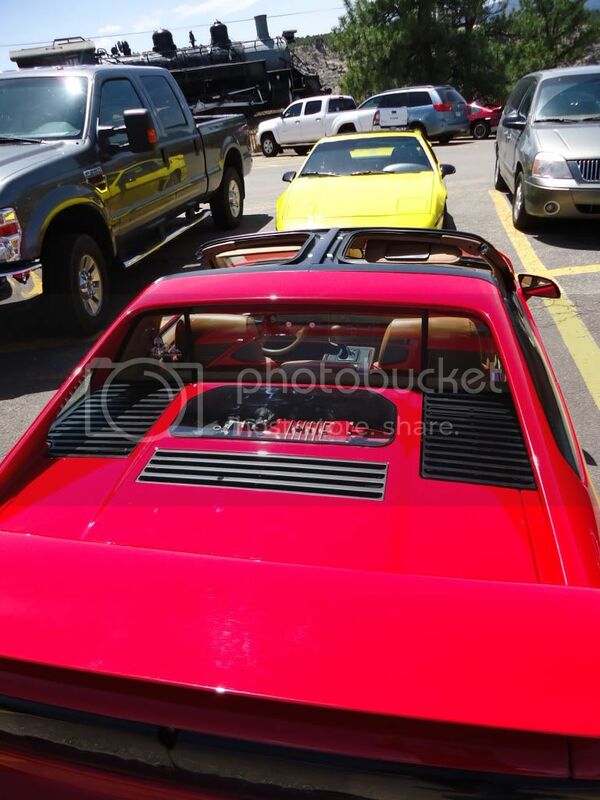 Hopefully you'll bring your Fiero's and show them off as well. damn i love this car i think it is one of my personal top 5 non wide body fieros. Dave Horst (skitime) was passing through Denver today, so we hooked up so he could see his old GT once again. I tossed him the keys and off he went down the road on a speed run. Dave is probably the nicest guy you would ever meet. I'm thankful he took the time to connect with me during his cross country drive. 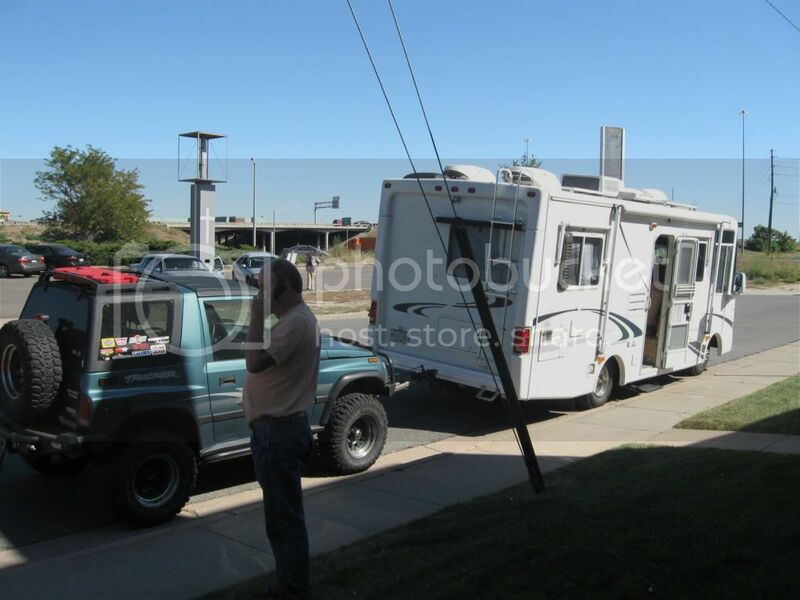 By the way, his Geo Tracker and RV are equally as tricked out as the Fiero. Very cool to have that happen. Yes, very cool that you guys could get together. Hey thanks for meeting me in Denver. It was great to finally meet you and see my GT again. 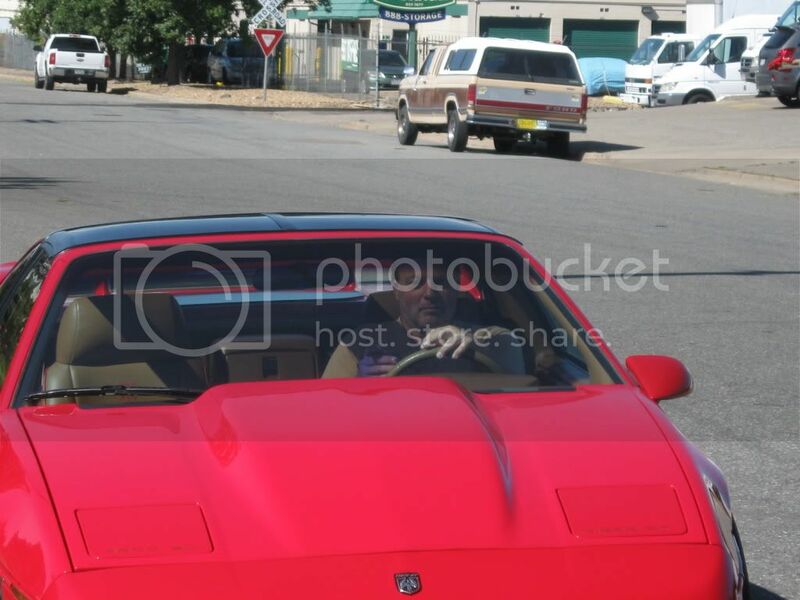 It looked great and it was awesome to drive it again. I am sitting in a Provo UT laundrymat that had wifi and Pennocks was the first sight I checked out. It has been a long day. Woke up at 5AM with abdomen pain. Went to the ER and after a few hours I found out I had a kidney stone trying to get out. So now I am waiting for the time bomb to go off with pain pills at the ready. Vonnie is flying out to Salt Lake City tomorrow so hopefully I will be able to drive up there to pick her up and still enjoy the rest of the vacation. Yea verily that sucketh.... hope you're ok and work out the stone issue. 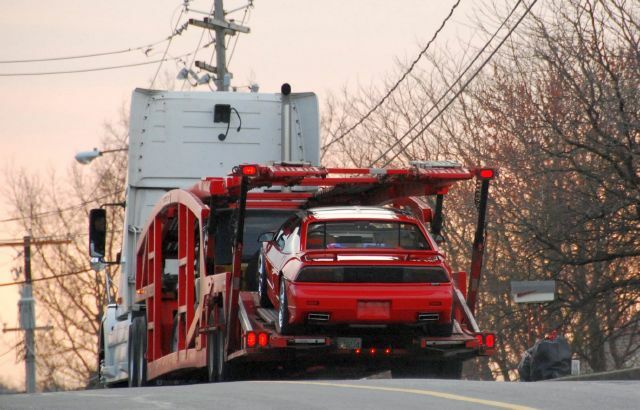 Robert you need to add some Florida pictures of the car to this thread. Took her out for an evening cruise in. It still cleans up pretty well for an old girl. The time has finally come for this car to be lowered. 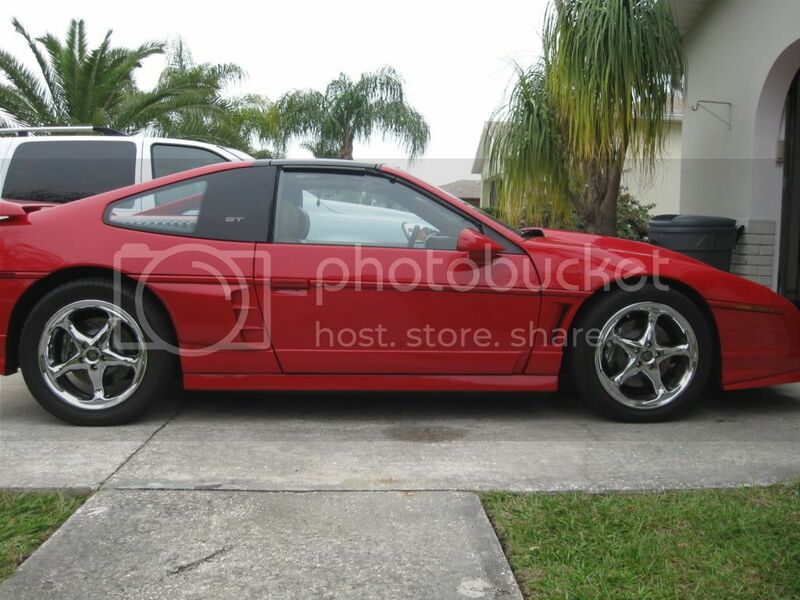 It looks sooooo much better than the stock 88 ride height.